This is the replacement cup set for Breville the Boss To Go blenders. 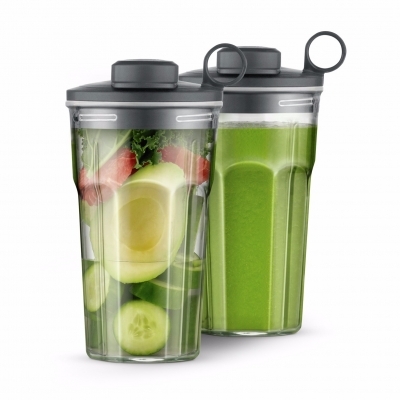 Blend your smoothie directly into your cup with the Boss To Go™. No mess, just pop on the lid and go. No uncomfortable clips or threads for a nicer drinking experience.